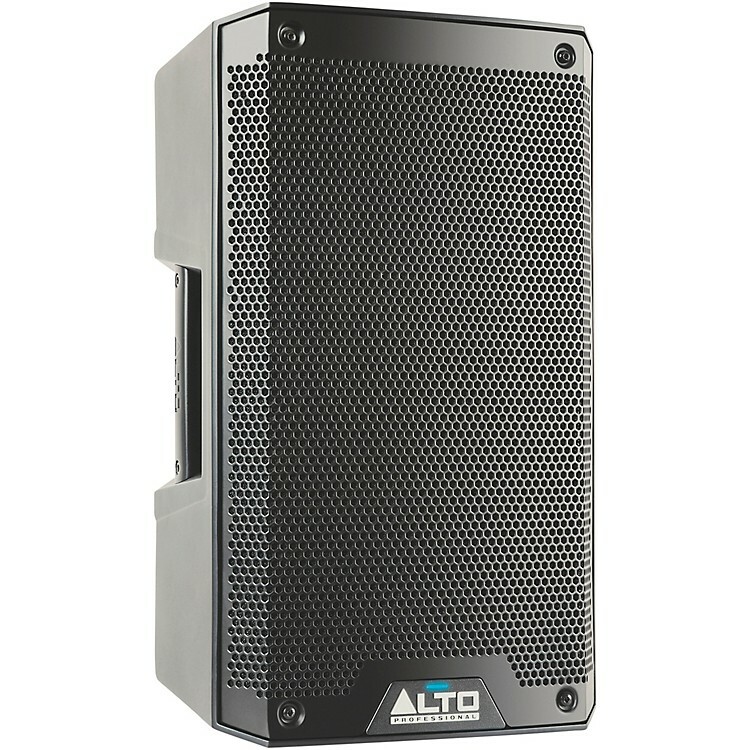 Class-D amplification with 1,000W continuous output. With 1,000 watts of continuous (2,000W peak) Class-D amplification, this 2-way, full-range powered loudspeaker features redesigned transducers in a lightweight, portable enclosure. The TS308 delivers uncompromising professional audio for a wide variety of applications, including mobile performing and permanent installations. This active cabinet's tight, low-frequency reproduction is handled by an 8" driver with a 2.5" high-temperature voice coil. A 1.4" tweeter with a neodymium magnet and precision waveguide provide crystal-clear high-frequency reproduction. Integrated M6 suspension points, built-in pole socket and a wedged cabinet design give you the flexibility to mount the TS308 in a variety of ways. Dual XLR combo mic/line inputs, independent level controls and an XLR link output deliver I/O and setup versatility. Get your sound dialed in perfectly with an onboard 2-channel mixer and contour EQ switch. Whether you're using the TS308 as a monitor or a main, you can count on clean, accurate full-range audio and reliable performance, gig after gig. Thanks to its lightweight, compact design, transporting and setting up this active PA speaker is a snap, so you can save your energy for performing—not hauling heavy equipment. Compact, lightweight form factor—order today. Weight:	20.2 lbs. / 9.2 kg.